Have you ever dreamed of camping in the Antarctic or sailing down the Amazon river? With expedition cruising coming a long way over the years, it’s now possible to travel to the most far-flung destinations in the world – and more importantly – to do so in comfort and style. Hapag-Lloyd Cruises is one such line which offers once-in-a-lifetime opportunities and allows guests to choose the expedition of their wildest dreams. In October 2019, the cruise line’s new expedition ship, HANSEATIC inspiration, will set sail for the first time and it promises to fulfil intrepid guests’ most adventurous travel bucket lists. The vessel will be travelling to exciting destinations such as the polar regions of the Arctic and Antarctic, South and Central America, the Amazon and Europe. The onboard fleet of Zodiacs enable guests to embark on small expeditions to observe the wildlife more closely or to access the shore when there are no harbours. And, on selected expeditions in the Antarctic, the more intrepid guests can even pitch tents ashore in the ice. Those who prefer the warmth (and dryness) of the indoors can enjoy lavish comfort onboard HANSEATIC inspiration, which has been decked out with all of the necessary modern comforts and facilities, including an extensive Ocean Spa with pool, sauna, fitness area and luxurious beauty treatments, all of which incorporate natural ingredients. Three spacious restaurants combine first-class cuisine with a unique and elegant ambience – with flexible dining times and free seating. 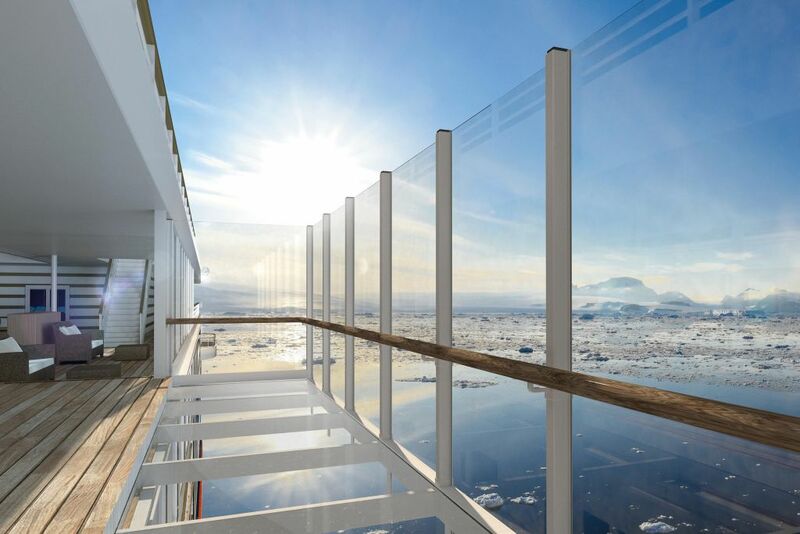 We’re also excited about the two retractable glass balconies on the Sun Deck – ideal for crystal clear views of the ocean. Those with a thirst for knowledge can visit the Ocean Academy, which features an interactive media wall, providing guests with further scientific information. Lectures and presentations from leading experts will be given in the Hanse Atrium – which is transformed into a bar come the evening. And, finally, a deck track at the bow of the ship will allow passengers to be closer to the action than even the Captain himself. 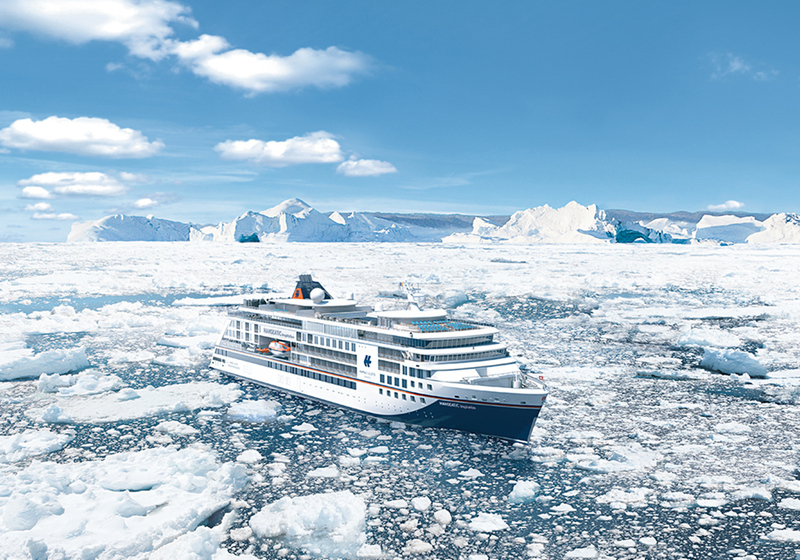 Hapag-Lloyd Cruises recently published its new expedition cruises catalogue – which you can request here.